Heating systems are an essential part of any home or commercial property and one of the most important aspects of these systems is the furnace filter. Plumbing systems like these are common throughout the Burroughs, and knowing about the furnace filter and how to check it for damage is crucial for protecting your system. What Is The Furnace Filter? The furnace filter attaches to your heating system and filters out dust, dirt, and other items to keep it from getting clogged or excessively dirty on the inside. Without this filter, your heater would end up burning these items and losing efficiency, breaking down, or even creating nasty smells that affect the quality of your system. What Happens When It Is Dirty? If your furnace filter gets dirty, it will cause air flow blockage that can be damaging for your furnace. This lack of air flow can make your furnace run poorly or cause the pilot light to go out. As a result, you need to regularly replace your furnace filter or clean it to ensure that it doesn't seriously damage your home. Can It Be Easily Changed? The average person should be able to locate their furnace filter and remove it. Start by turning off the furnace to keep it from running. Now, open up the side of your furnace and look for the sliding filter. This should come out quite easily, bringing along dirt and filth. Check the side of your filter to see if it can be cleaned. If so, run it under cool water, hand dry it, and put it back into place. Replace it with a new one if it can't be cleaned. If you can't find your furnace filter or otherwise need help fixing a heating system, please contact us today at C James Plumbing. 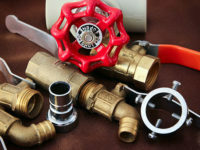 We can help you avoid suffering from serious violations, can fix any sprinkler system in the Burroughs, and avoid serious damage that could take down your heating system. Contact us now for a free quote to learn more about how we can help you today.